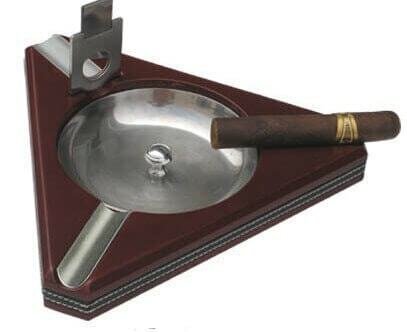 These cigar ashtrays with cutters turns your cigar ashtray into a tabletop cigar cutter. These ashtrays have a slot where the cutter fits into nice and snug. Turning that ordinary ashtray into an extraordinary centerpiece. Imagine friends over to enjoy good company with a premium cigar. Your friends sit down and in the middle of the seating area. You cut your cigar using the table top cutter that is also your resting place for your cigar when not in your hand. Did we tell you the best part? 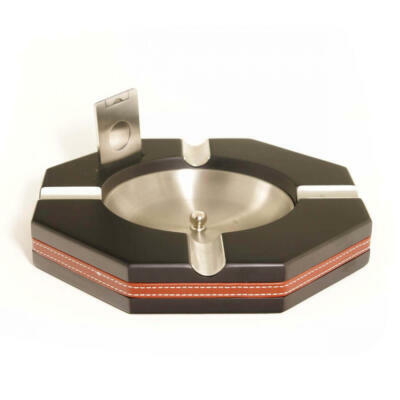 Not only do these table top cigar ashtrays come with removeable cigar cutters, the design allows the cigar to burn evenly with large 3-4 large stainless steel cigar rests. Did we mention they easy clean up after you finish your cigar? With the removeable stainless steel tray that is held tightly with strong magnets to keep it firmly in place. can be picked up and dumped for easy clean up. 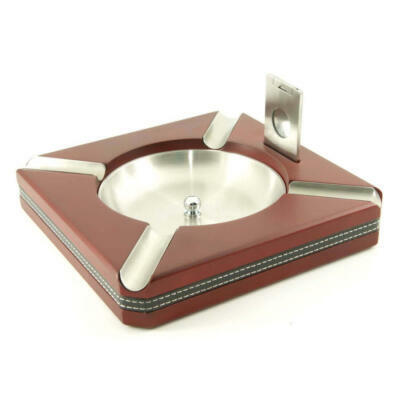 A great deal of thought went into these cigar ashtrays not only in looks, but form and function. So what are you waiting for get your love ones the perfect cigar gift.